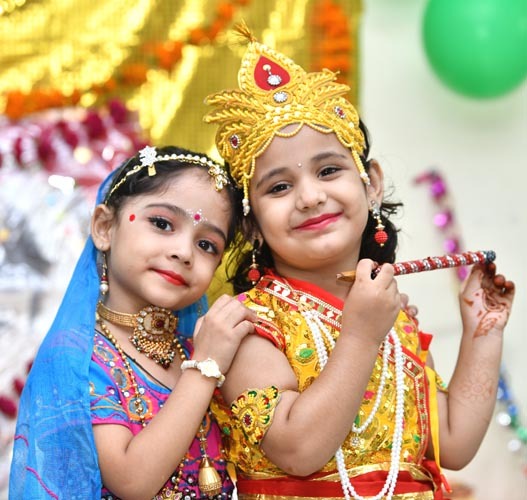 “Let us offer our respectful obeisances unto the Lord, who is son of Vasudeva, the pleasure of Devaki, the boy of Nanda, Yashoda & other people of Vrindavana and the enlivener of the cows & the senses”. 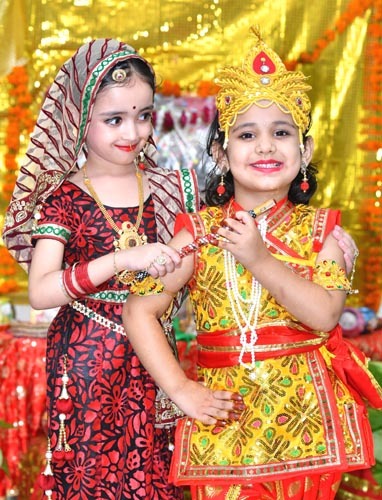 The festival of Shri Krishna Janmashtami was celebrated with devotion & enthusiasm by the kiddies of The Play House. The students sang bhajans & chanted hymn “ Hare Rama Hare Krishna” & offered special Pooja & arti to get blessings of Lord Krishna.